“Bear cat”is panda? what is cat head eagle? You will remember some name of animals and "special relation" between them. Chinese people are used to the animal names. But if we take another look at them by analyzing a little bit, it gets interesting. We have to admit that some animals were not given proper names. Sometimes it’s because the Chinese name is just the translation of the original foreign language (for example “hippo”) and more often it seems that we love to name a new animal according to its feature and similarity to others. That’s why now we have “cat head eagle” and “long neck deer”. Most people we talk to, who are serious about studying Mandarin Chinese, all express a preference to study the language in China if they have the opportunity. 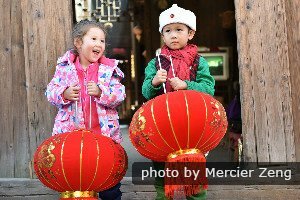 They feel that immersion in Chinese society and culture will help them improve their language skills and become fluent speakers quicker than through other ways of study. Yet, planning to spend some time in China studying has always had a number of challenges and uncertainties, with lots of research and planning needed—that is, until now! So…, read on at your leisure! Have you ever been surprised when you experience eating and drinking in China? Colors are important to Chinese culture as they are endowed with lucky meanings. The three main lucky colors considered lucky in people's daily lives as well as on special occasions are red, yellow, and green. We have also covered color combinations preferred in China. Lastly, we have provided some insight into unlucky colors for your awareness. International brands are always popular in China. To open Chinese market further and make a deeper impression in Chinese people’s mind, some brands were given a Chinese name. Most of the translations are smart. The pronunciations are similar to the original ones and easy to remember, maybe only for Chinese people. For foreigners, however, perhaps it takes time to understand what your Chinese friends are talking about. Now I will show you some brands in Chinese. Please guess the original name.